Join new and established James Dashner fans in THE #DASHNERDASH BINGE READ, a rereading of all four titles in the bestselling Maze Runner series, in advance of the September 27 publication of the eagerly anticipated Maze Runner prequel novel, The Fever Code.When discussing the reread on social media, readers are encouraged to use the hashtag #DashnerDash to follow along in the conversation. 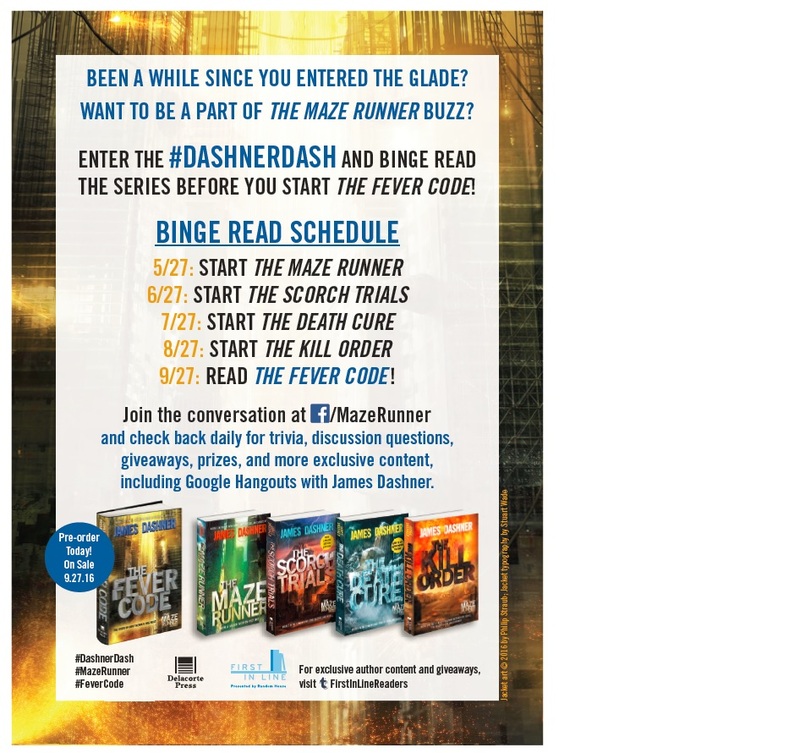 Rereads of The Scorch Trials begin on June 27, followed by The Death Cure onJuly 27, and The Kill Order on August 27. Questions can again be submitted via Facebook, and a book-club-style discussion will occur at the end of each month. The Google Hangout for The Kill Order at the end of August will lead right into the publication of The Fever Code on September 27. JAMES DASHNER is the author of the #1 New York Times bestselling Maze Runner series—The Maze Runner, The Scorch Trials, The Death Cure,and The Kill Order—as well as the bestselling Mortality Doctrine series, which includes The Eye of Minds, The Rule of Thoughts, and The Game of Lives. To learn more about James and his books, visit jamesdashner.com, follow @jamesdashner on Twitter, and find dashnerjames on Instagram.